place. To power these large lights, we would need to run heavy thick cable such as 2/0, 4/0, 100 amp, or 60 amp. This requires large tow plants to generate enough power for these consumption heavy units. And where there is power, there is heat. Tungsten and HMI lights put off a lot of heat, requiring gloves to operate. The globes (bulbs) go bad and need to be replaced on a regular basis and the fixtures are harder to operate in inclement weather because of this heat. Now I may seem to be bashing the old ways of doing things, but the fact remains we continue to use hot tungsten and HMI fixtures to this day. That is because every fixture is simply a tool and you must use the right tool for the right job. But in today’s world our tool bags just got a bit lighter and more efficient. Simply put there is an easier way to do this now. their back when moving it into position. Focusing the lamp is a different process with panel lights because we don’t have an option to flood or spot. However, with accessories like, snapbags, snapgrids, and honeycombs we can achieve a similar design. To color the fixture we simply twist the dial to the desired color temperature. Gone are the days of multiple colored gel sheets and clips to secure them to the lamp, saving money in expendable costs. Flagging the light is achieved with the accessories available from third party manufacturers, also help from your grip department is always an option. The most notable difference between traditional hot lights and LEDS is power consumption. Most LED fixtures can be powered by 20 amp or 15 amp household sockets, allowing thin cable to be used instead of heavy, back breaking, cable. But with all this said you still are operating the fixture and your still required to have a lamp operator to a certain degree. But your lamp operator needs to be more technically savvy to get this done rather than the brute force of old. It’s amazing how much technical know-how is required now to be a “lamp operator” hence why we tend to call the electric crew Set Lighting Technicians. 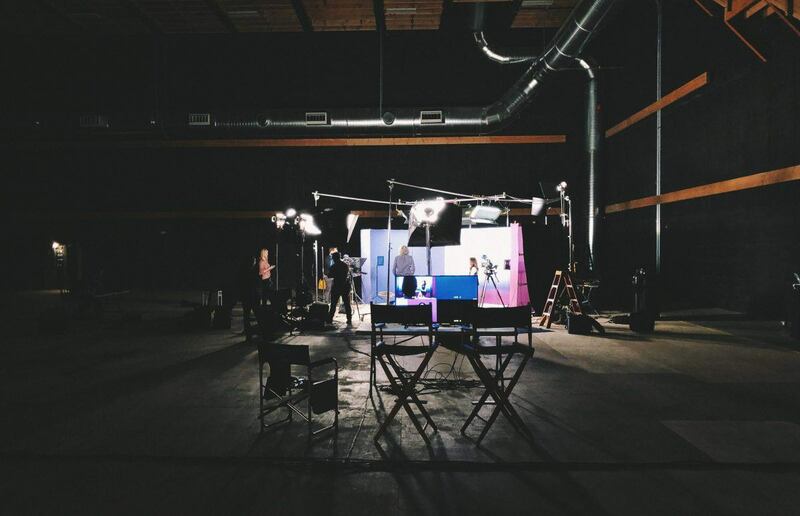 But what if I were to tell you that you could fully customize your fixtures on set from the comfort of video village, and all from an iPad or iPhone? DMX isn’t anything new. This is a simple protocol for fixtures to communicate over a data cable so the end user can control things like dimming, color temp, and FX. But with the introduction of Lumen Radio, Cintennas, and AKS systems we can make all these adjustments wirelessly. Here is how this works. 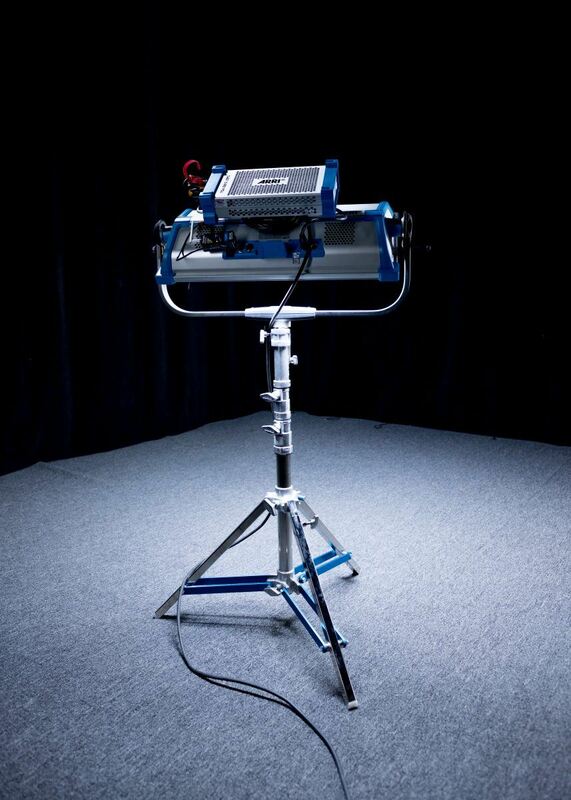 The cintenna units simply plug into the DMX in on your fixture. Turn on the fixture and the cintenna unit. We then turn on the RatPac AKS system. The AKS will then broadcast a Wi-Fi signal that we need to make sure is connecting to all your cintenna units. 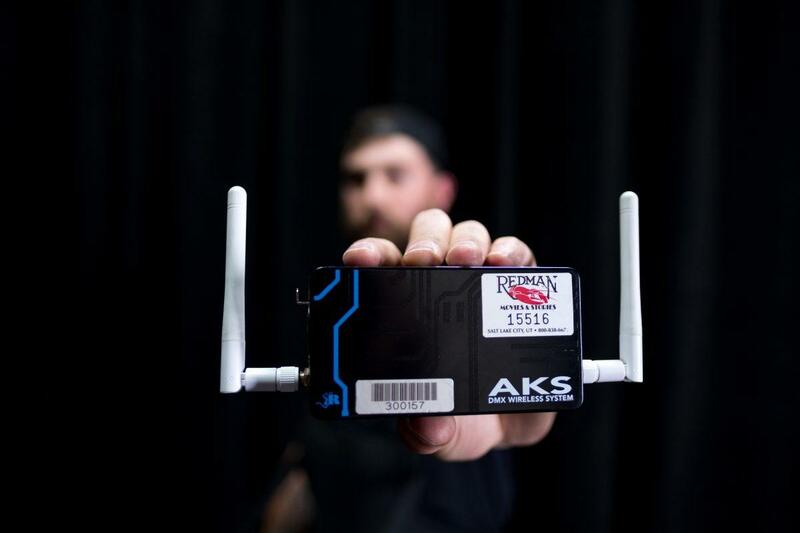 Once we have confirmed connection from the cintenna to the AKS we then use our iPad or iPhone to connect to the AKS’ wireless Wi-Fi signal. Once connected we open up the Luminair app. Luminair is a paid for app inside the Apple app store that will give you millions of different varieties of light control from your mobile device. Essentially just a virtual version of the classic DMX board. Once we have opened the Luminair app we create a project and add our wireless fixture. Make sure your fixture is assigned to the desired DMX channel before adding the fixture in the app. We then add the fixture with the same DMX address as our fixture, pick the right profile so we can enable all the features of the light and….. boom! We now have access and control of our light over a wireless connection all in the palm of our hand. So why is this important and why do we need it on set? Productions in 2018 sometimes go for “quantity over quality” and as Gaffers, DP’s and Set Lighting Techs we need to move faster than ever, all while not diminishing the quality of our images. So maybe you can’t afford a swing guy or gal or another SLT, renting a cintenna kit could be your best bet. Perhaps you place a fixture in a place you just can’t get to without a ladder. 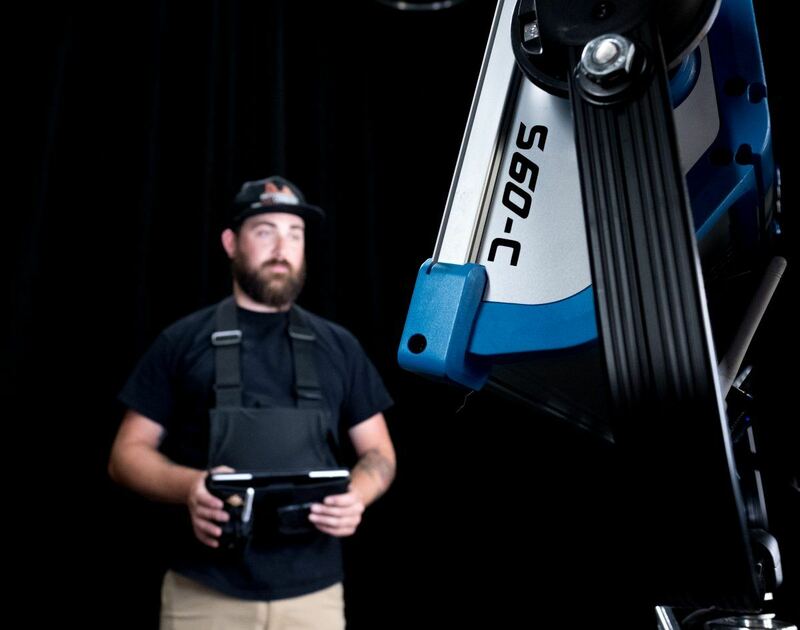 Instead of barging in on set with a large ladder and disrupting your set every time your DP needs an adjustment, just simply adjust settings directly from your iPad without having to look away from your monitor. 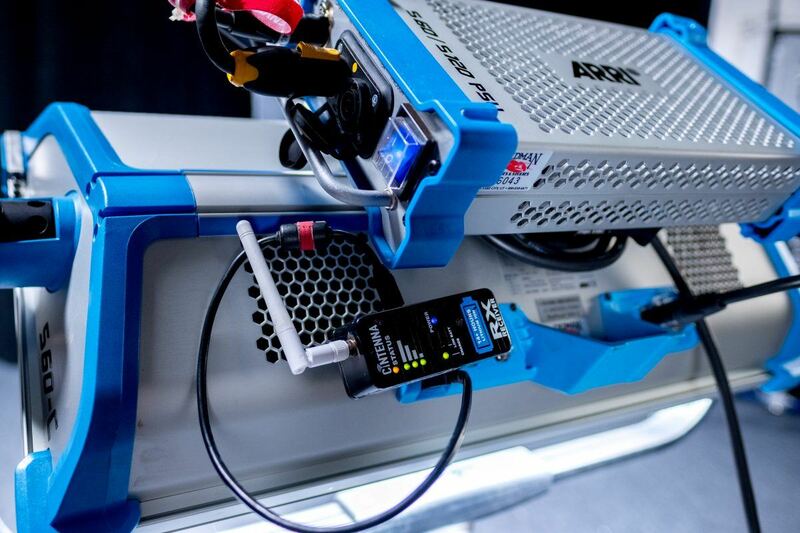 This system gives power back to the Gaffer and DP to tweak the image, all while your crew can start working on your next set up or loading a truck. This efficiency is the future of filmmaking, and the creative possibilities are endless. To learn more please feel free to visit us at our new Redman Stages for a full overview. To rent any of these items please give us a call.